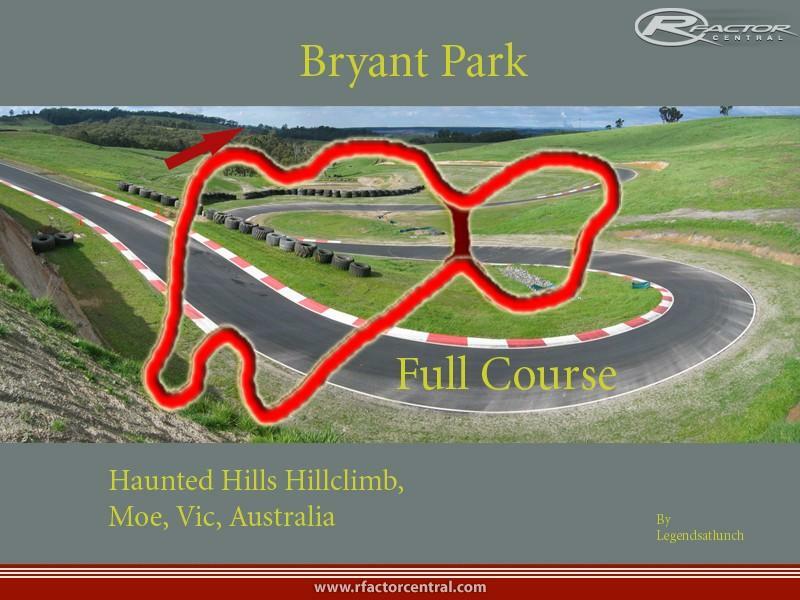 Bryant Park Hillclimb, Also known as Haunted hills (morwell hill climb new). Located at Newborough near Moe in vicoria, Australia. 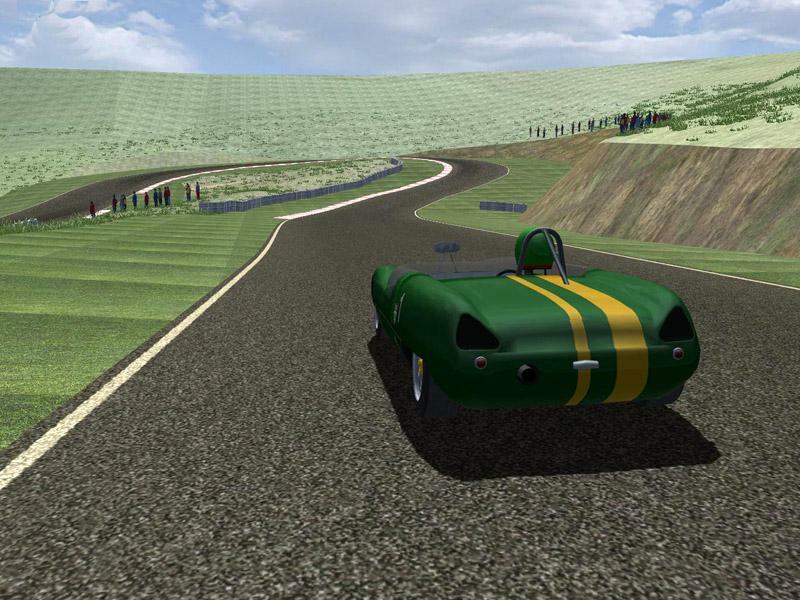 The curcuit is very new, having their first event on July 6, 2008. Thay are still in the building process. Unfortunatley ge's mapping is pre circuit and very low res, height data is a bit wrong too. I am hoping to get there and walk it with a gps one day, and take phot's for the club house etc. 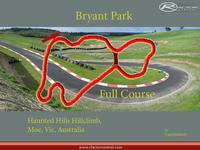 There are lots of videos on Utube of this great track. Real life lap times 59 to 70 secs. 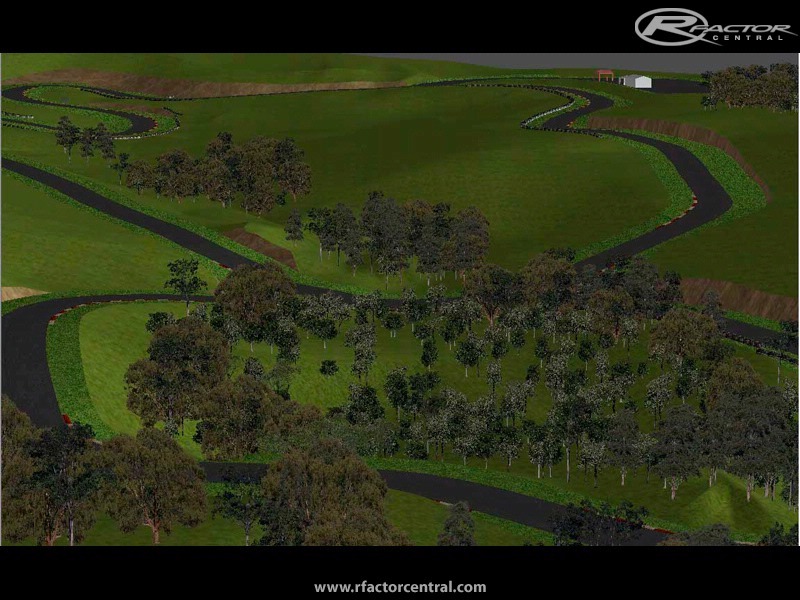 Updated with most of the current layouts used at the track. all new lods and a few updates to the overall track. There are currently no setups for Bryant Park. Add a Setup. New 3.0 version update: better and more realistic physics and handling, better design of the cars. sorry it took a while Callum. Hope you like it. Hi L@L, saw your message on the Broadford track. Will be great to get the other routes. I figure they could go 6 ways round HH, the outside loop clock and anti, the figures 8s both ways, and the inner loop clock and anti. The range of people Ive spoken too have seen most of those in play at some time. Great work! Anyone got a link to this track, the filefront link is not working?